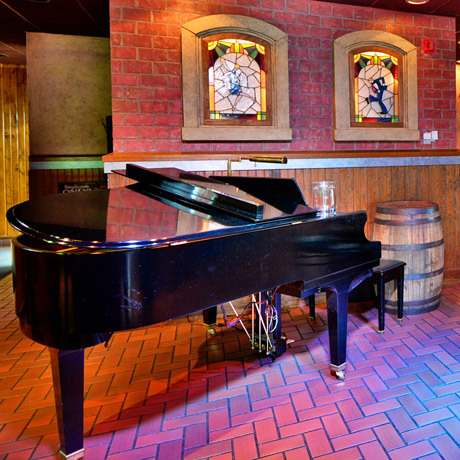 Need another reason to come out to the 20's Hideout Steakhouse? How about the most talented live pianists in the area. Every night, our restaurant features some of the best live jazz from local musicians sure to enhance your dining experience. Be sure to check out the Entertainment Schedule for a listing of when to hear your favorite artist or click on the Entertainer Bio's section to learn more about our talented pianists. Pianist Mel Goot was born in San Diego, but spent his early years in Mexico City. Self-taught, he later attended San Diego State University where for four years he was the top pianist with the award-winning SDSU Jazz Ensemble. Following college, Mr. Goot gave jazz history presentations and jazz improvisation clinics at both San Diego and Los Angeles area schools under the auspices of the National Endowment for the Arts. 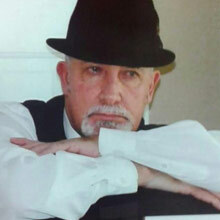 Mr. Goot has appeared at various national and international festivals, including Monterey, San Diego, Los Angeles, Riverside, Reno, San Felipe and Tijuana. He has performed numerous West Coast club dates or recording sessions with jazz artists such as Luis Gasca, John Heard, Carol Kaye, Abe Laboriel, Charles McPherson, Bobby Shew and Dave Valentin. Mr. Goot has also performed with big bands behind Solomon Burke, Jerry Lewis, Sammy Davis, Jr. and Steve Allen. 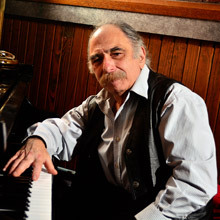 Aside from his work with the NAJ, which he joined in 1995, Mr. Goot remains active performing and recording both as a solo artist and as a pianist with various other area groups and performers. Mr. Goot has served as adjunct music faculty, most recently at John A. Logan College, and is a frequent clinician and adjudicator at various area jazz competitions, camps and festivals. In 1997, he was voted best keyboardist in the Southern Illinois Music Awards listeners/critics poll. 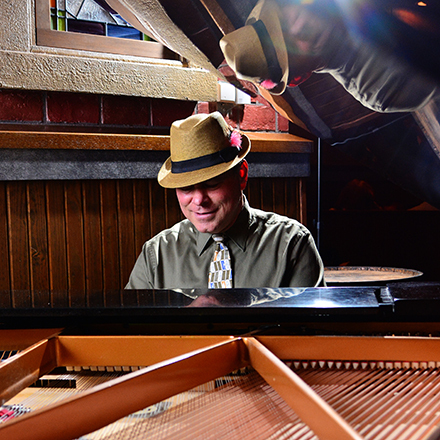 Bob Pina plays standards, jazz, blues, and requests on our grand piano every Tuesday and Saturday night. 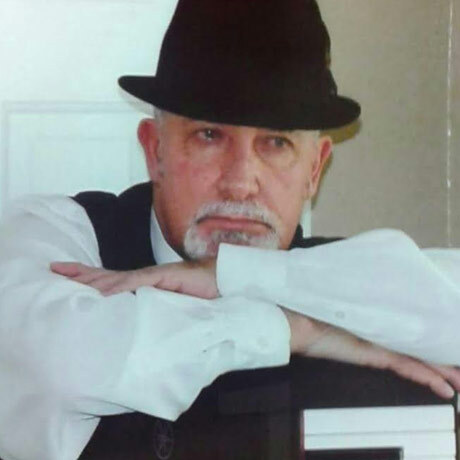 Well-known throughout Southern Illinois as an accomplished keyboard player and vocalist, he has played piano and saxophone with bands such as Coal Kitchen, Rolls Hardley, and Big Twist and the Mellow Fellows, and currently plays piano with Southern Swing. 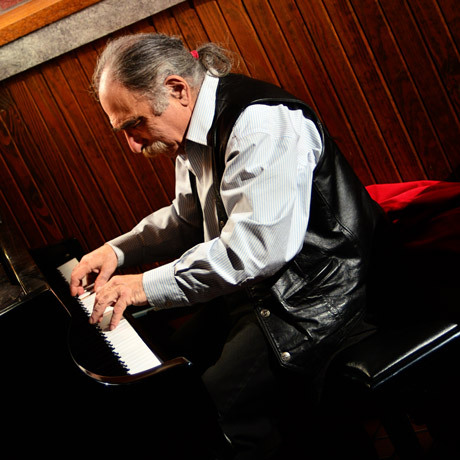 Bob Pina plays standards, jazz, blues, and requests on our grand piano every Tuesday and Saturday night. 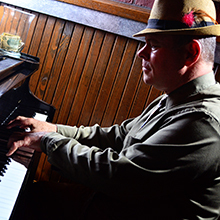 Well-known throughout Southern Illinois as an accomplished keyboard player and vocalist, he has played piano and saxophone with bands such as Coal Kitchen, Rolls Hardley, and Big Twist and the Mellow Fellows, and currently plays piano with Southern Swing. Bob’s self-produced CD, “Harvest from the Public Domain,” features him playing and singing his original arrangements of favorites from years past. Currently, Bob is in the process of recording a new CD merging his unique style with well-known blues standards. Bob is also an accomplished artist, whose paintings have won awards in many area art shows, including the HerrinFesta Italiana Art Exhibit. He works mostly in oil, and to a lesser degree in acrylics and watercolors. In his travels around Southern Illinois, Bob says he is constantly awed by the region's natural beauty and charm, which have inspired many of his paintings. 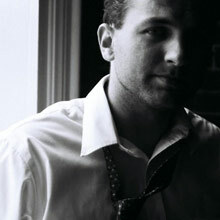 Matt Martino is a Southern Illinois native and graduate of the SIU school of music. After ten years working as a professional musician in Nashville Matt has returned home to be near family. 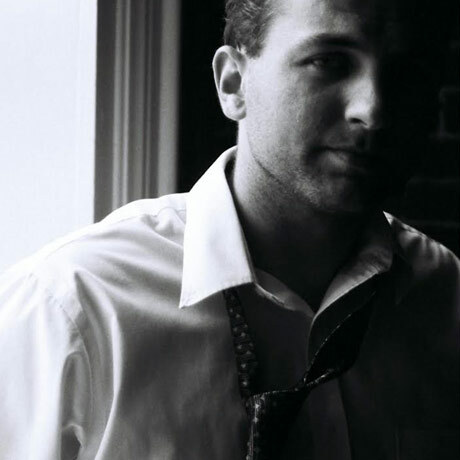 Matt Martino is a Southern Illinois native and graduate of the SIU school of music. After ten years working as a professional musician in Nashville, Matt has returned home to be near family. While in Nashville Matt had many accomplishments, including the release of his debut album “Let it Shine”, which he wrote, produced, and engineered entirely in his own recording studio. “Let it Shine” contained songs which were featured in multiple network television series and independent films, and received Grammy attention in 2008 in six different categories, including Best New Artist, Song of the Year (Naturally), and Album of the Year. Matt toured exclusively on the success of “Let it Shine”, and still tours regularly throughout the country. 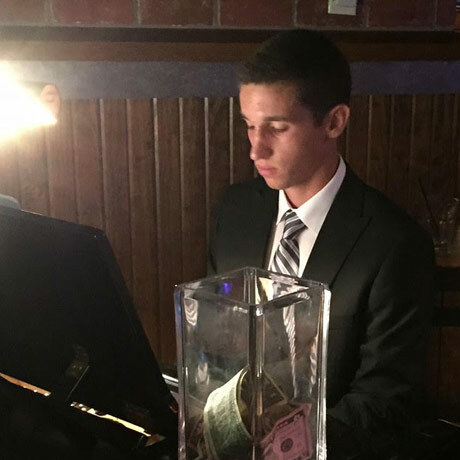 Matt’s solo piano set will consist primarily of pop and rock classics, with a few originals and well known jazz standards mixed in. Kevin commenced piano lessons as a 9 year old in Perth Western Australia and has been tickling the ivories ever since. As a youngster, music was always a magnet; particularly music from the WW2 era and from the 30’s, 40’s, 50’s and 60’s. In 1964 when Kevin heard the Beatles, the die was cast and he was soon involved with Perth rock’n roll bands and his pursuit of music had him playing with bands in night clubs, hotels, cabaret venues, corporate events and festivals. Later in life there was the opportunity to successfully complete a Certificate 3 course in contemporary music at Charles Darwin University where he was awarded the Dean’s Prize for outstanding achievement. Kevin moved to the USA in 2007 so that his wife Kay could re-connect with her Southern Illinois roots and her career in education. For the past 9 years he has been making music as a solo pianist and with several local combos. Now retired Kevin is usually to be found at the piano most days playing, practicing and learning new songs. Holly Kee began her musical career on the piano at the age of eight. By 10, she was playing for Sunday services at the Stiritz United Methodist Church. She joined the school band program as a 5th grader, starting on the alto horn and then moving to French horn and finally settling on the trumpet. As a high school sophomore, she traveled to Rome as a member of the All American Youth Honor Musicians, playing concerts throughout central Italy, including a special concert for Pope John Paul II at the Vatican. During her senior year at Johnston City High School, Holly won both the John Philip Sousa Band Award and the National Honor Choral Award. She was chosen as the top young pianist in the state of Illinois. Holly enjoys playing all kinds of music and has used her keyboard talents in several entertainment venues. She played in a rock band, Midnight 12:01, and was the only female member of the Blue Shadows, an oldies band. She was a regular performer for the enjoyment of her beloved Grandma Helen and Papa Henry and their friends, where she was introduced to bluegrass. Holly is currently learning to play the fiddle and the potato bug mandolin, which belonged to her Grandpa Dutch. Along with playing music, Holly has directed or assisted with several school and community musical productions. She currently teams up with musical partner Les Lannom, playing Celtic music in the duo Roisin Dubh. When she's not performing, Holly is a reporter with Southern Illinois LOCAL Media Group, where she is the 2018 recipient of the Illinois Associated Press Sweepstakes award. Matt Galik was born and raised in Southern Illinois, and is now a Physics student at Washington University in St. Louis. He has worked with Dance4Grandma Productions in numerous theatrical productions, including You're a Good Man Charlie Brown, Legally Blonde, CATS, Joseph and the Technicolor Dreamcoat, and twice played for the Rocky Horror Picture Show. 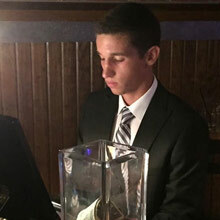 He has also played for the W Restaurant, and is currently playing with a combo for the Washington University Music Department.